Redownload file. NEW OPTION to ierase 3.9 bl basebands! Well.. I think that's enough testing... here you have ZiPhone ! It's by far the most simple program to setup your iPhone. Just run it and you will see it. Windows + OSX versions ! Details on how it works and WHY it works, will be released on the above site or wiki. No 'dev-team' was directly involved with this work. producing and directing such a funny movie. As a side-effect, using this tool will revive many 'dead' basebands. Just use the unlock option. boot the phone in recovery mode. 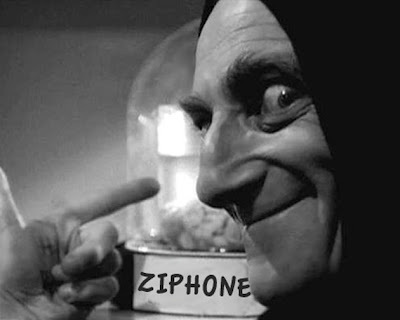 I used ziphone once for my iphone on a macOS and it worked. teh problem now (and I know I shouldn't have done this) is that I updated by mistake my iphone to the 2.0 version and now it doesn't work at all. not even for emergency calls. I tried to restore it via iTunes but since the only option is "update and restore" it takes me back where I am right now. Is there any way to restore the iphone?